I’ve developed my career designing postcard-worthy travel destinations. From a luxury beach front resort in Bali to a new 700-key integrated resort and casino in South Korea, the projects in my portfolio epitomize traditional luxury hospitality; however, with consumer behaviors and desires changing , the long-standing conventions of luxury hospitality are no longer valued the way they once were. A new breed of traveler desires more than to be pampered and indulged when booking their next trip. They seek transformative wellness experiences leading to physical, mental and spiritual renewal. In response to this shift in expectations, MG2 sees hoteliers and designers working together to create unique hospitality concepts that foster a sense of well-being, using the built environment to inspire calmness, mindfulness and confidence. 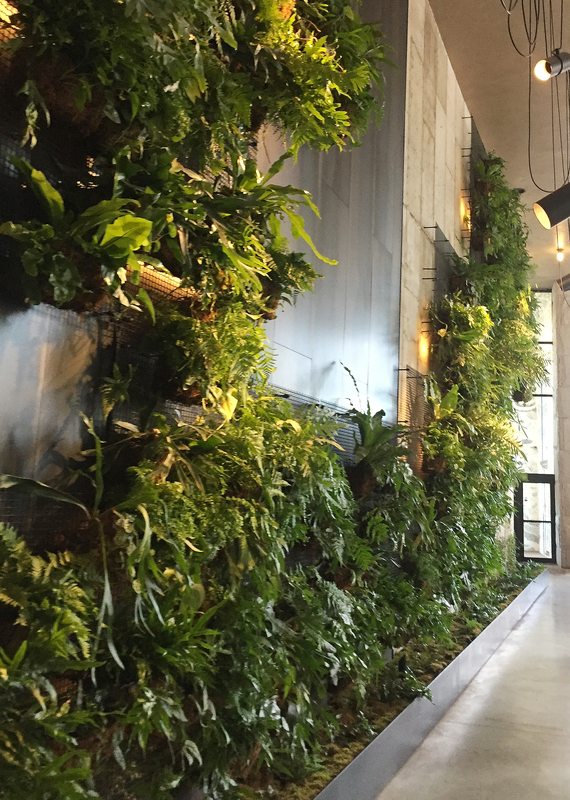 A living green wall in the hotel lobby plays to guests’ innate desire to seek connections with nature. Studies continually confirm our connection with nature improves mood, increases cognitive function and decreases stress levels.1 Thousands of years before modern medicine, feng shui and Buddhism embraced similar links between tranquility and the natural environment. So how can this axiom be applied in the hospitality industry? In many instances, the answer lies in smart design that brings the outdoors inside. While most hotels are unable to offer guests access to majestic mountains, sandy beaches or glistening lakes, lack of proximity to Mother Nature doesn’t necessarily disqualify them from appealing to modern wellness-seeking travelers. Hoteliers are asking architects and designers to develop thoughtful concepts that infuse the experience of nature into the built environment, both directly and indirectly. Biophilic design choices that play with guests’ ability to discern where the interior environment stops and the exterior environment begins can be especially impactful when executed in urban hotels. People appreciate being surrounded by natural materials, especially if they are used in unexpected ways and a compelling story exists about why they were selected. Design elements in hotels emphasizing wellness are often inspired by ecosystems native to the area, though a hotel owner and design team may opt to feature ecology from a region on the other side of the world depending on the mood they want to set. In either scenario, introducing a harmonious blend of visual, auditory, olfactory and tactile experiences associated with nature eases guests into a state of relaxation. It’s “vacation-mode” on a Zen level. With more than half the world’s population now living in cities, hotels that promote the restorative properties of nature are resonating with today’s traveler. While hotel brands have become incredibly immersive in recent years, curating hyper-local moments specific to a destination and lifestyle, the experiences guests have when visiting on-site spas still tend to feel fragmented. Sure, after a day of personalized massages, exfoliating body scrubs and hydrotherapy treatments, guests feel relaxed. But once they’ve exited the spa and reentered the hotel, the question quickly becomes, “Well, what am I supposed to do now?” The rest of their stay is largely disconnected from the experience they just had. 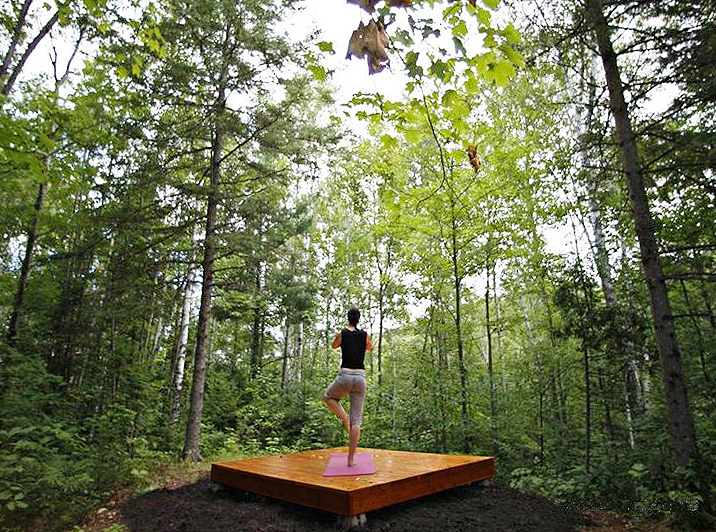 Designing outdoor spaces for therapeutic yoga can enhance the spa experience. To engage guests on a deeper level, progressive hoteliers have stopped seeing spas as merely a place for pampering. They’ve begun to embrace the notion of storytelling in spa experiences, where the guest is taken on a multi-day journey of healing and self-discovery. Holistic wellness programs include detox treatments, special meals, bodywork, yoga and meditation. Rather than receiving passive treatments, guests gain understanding of the shifts they need to make in their daily routines in order to rejuvenate their lives. To imbed these innovations into the spa experience, hotels are reassessing the paradigm of the standard 1,200 SF spa and its relationship (or lack thereof) with the property’s fitness offerings. For instance, the new spa MG2 has designed as part of an expansion of the Salish Lodge & Spa in Snoqualmie, WA is nearly 19,000 SF. Its programming will feature a multitude of indoor and outdoor experiences, movement and cardio studios, as well as exterior environments that harmoniously blend with the building’s façade. This intermingling of nature and architecture is a theme carried throughout the entirety of the new hotel development, most notably in its indoor pool and entry portals. The goal is to establish a cohesive narrative for guests, linking every experience they have while on the property, whether it be in the spa, their room or community spaces. Columns emerge from the Salish Lodge & Spa’s pool, evoking the forms of towering pine trees outside the building. MG2 plans to use timber harvested from the Salish Lodge & Spa site as columns to support the roof of entry portals. Studies reveal people are feeling more anxious, stressed and lonely than ever.3 Taking a vacation should be an obvious remedy; however, our addiction to smartphones is making it nearly impossible for travelers to fully decompress. The fact hotels have invested millions of dollars in high-tech platforms that allow guests to control almost every aspect of their stay using their phone doesn’t help break the cycle of dependency. When assessing why vacationers can’t unplug, it’s easy to point the finger at employers for having unrealistic expectations of their staffers, demanding they be accessible at all hours. I believe the obtrusive boss phenomenon isn’t the issue. Our dependency on technology is self-inflicted. I am guilty of scrolling through Instagram several times a day as a way to unwind. I even find myself doing it when I’m around friends and family. While I’ll be the first to admit such behavior is rude, the momentary gratification I get from checking social media or seeing who messaged me has become a tolerated way of life. My use of the word “addiction” to describe people’s relationship with their smartphones isn’t facetious. Research shows people are addicted to the dopamine highs they get from checking social media and messaging apps.5 So the question is, “What is a healthy alternative behavior a hotel can offer to activate guests’ to increase their dopamine activity?” The answer is physical activity. Hotels are beginning to scratch the surface on ways they can get people moving during their stays. The World Health Organization reports that 23 percent of adults are not active enough.6 Vacations present an ideal opportunity for guests to hit the reset button on their physical fitness goals. Spa treatments are about restoration, but movement and activity is about reinvigoration. New hotel concepts allow guests to pursue fitness and wellbeing on their terms, whether in a community space or in the privacy of their own room. Because people have different preferences regarding how, when and where they like to exercise, providing guests with flexibility and options during their stay is critical. The one-size-fits-all hotel gym with weight machines and rows of treadmills is no longer sufficient on its own. Guests want to engage in activities ranging from fast-paced aerobic exercises with a pumping soundtrack to restorative yoga focusing on meditation and body relaxation. Sometimes guests prefer areas where they can work out privately and detach, while other times they want collaborative spaces that offer engagement. In response, wellness hotels are rethinking the traditional programming of the guest experience. For instance, creating specialized studio environments to address the different needs of yoga, spin and barre classes. 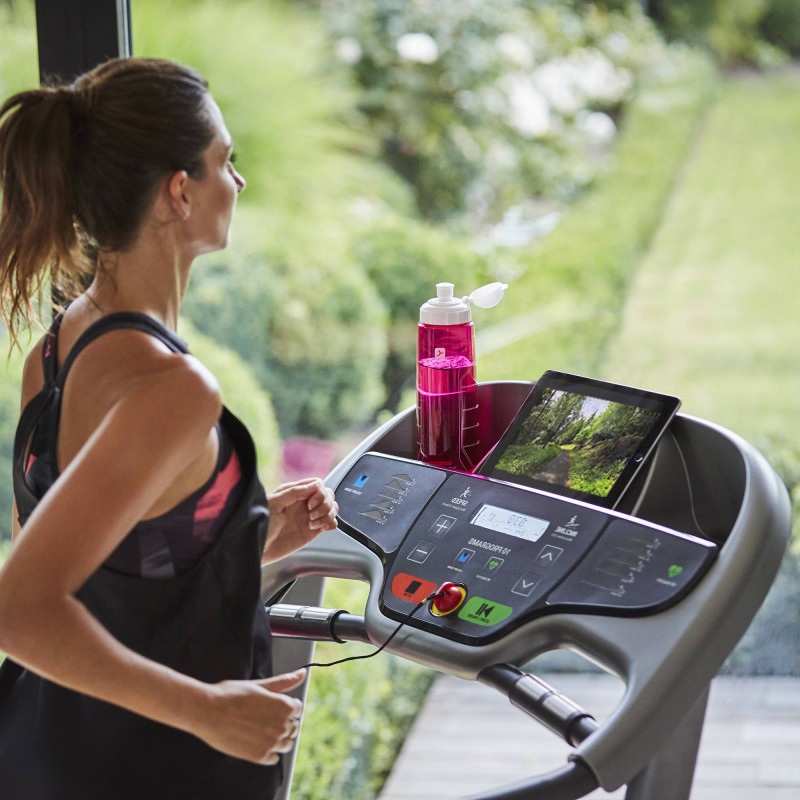 Many hotel brands are also getting more elaborate with the in-room workout equipment they offer, encouraging guests to start or end their day with fitness regimes in the privacy of their own rooms. The historic concern for architects when designing a guest room was how to fit the desk and dresser into 350 feet with a king size bed, now we are tasked with devising spatial configurations and storage systems to accommodate a treadmill or stationary bike, weights, resistance bands, yoga mats and stability balls. With customization becoming a rising phenomenon in all aspects of travel – from authentic guided experiences to locally-produced, artisan meals – it’s no surprise that guests have the same expectations when it comes to health and wellness. At MG2, our mission is to create transformative experiences that resonate on a personal level. The notion of designing immersive hotel environments where guests check in feeling rundown and check out with their mind, body and soul aligned is precisely the type of marked change we strive to achieve. 2. What is and What is Not Biophilic Design?